Don’t always trust your GPS folks! I hope that lots of our potential visitors have a look at this blog, cause it could save them a bit of grief! 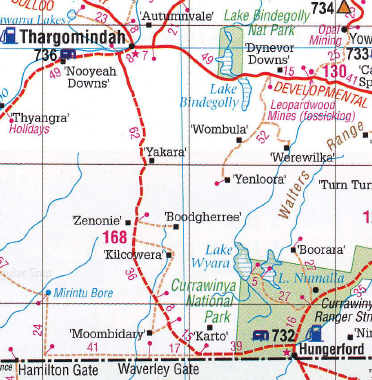 See that little track that appears to come up to Kilcowera from the south? Well – I’ll let you in on a little secret – it doesnt exist anymore! It’s actually on a neighbours place, is a private road and only leads to a windmill. It is also literally clearly marked with signs as being a private road with no access to anybody. So there you have it – the ONLY way into Kilcowera is the access road in from the west! I love old fashioned home cooking. 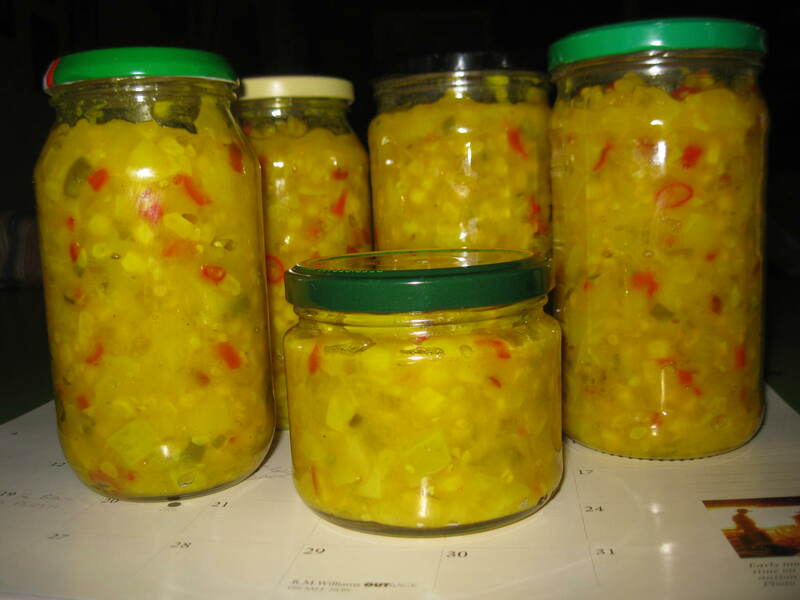 Squash and corn relish, homemade at Kilcowera Station. Once upon a time we populated the west with Guinea Pigs! Yes – we had 2 as pets when our girls were small. Blackie and Blossom. Whenever we attended any function we would take a little box with a guinea pig or two in it to give away. The other parents tried to avoid us – but we were cunning – we made our move directly through the kids! They were lovely little pets. My vegetable garden is also producing very well these days. At the moment its zucchinis and button squash. We have been giving away as many as possible but this is difficult when we don’t go anywhere much and they just keep piling up in the cold room. I have made mention in a previous post about what to do with the zuchs now it’s the squash that are really multiplying! And do you know – not too long ago I paid $4.99 for 4 little yellow squash at my local store! Now I have about a hundred of them lurking in bags in the coldroom. I also had a few ears of corn that didn’t look like it was going to be eaten any time soon so decided to make some corn relish. Well, really, it’s squash relish with corn – my only hurdle was not enough corn to really justify using stacks of the squash. But I managed to use about 15 of them, along with home grown capsicum, chillies and okra. So all up, I am very pleased with the result. Just as well that we both like hot and spicy food – cause those chillies have a bite to them!